Barcode: PC – 5030941111133, PS3 – 5035223111122, PS4 – 5030930112783, PS4 – 5030931111341, X360 – 5030933111134, Xbox One – 5030939111343. Selling Potential: 8/10. 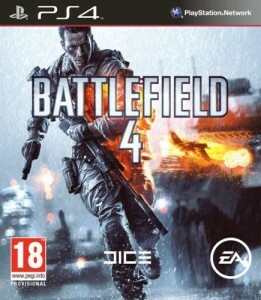 Battlefield 4 is the thirteenth sequel in the Battlefield Series and is developed by DICE. It is the sequel to Battlefield 3 and is available for current and new-generation consoles, PlayStation 4 and Xbox One.